Nicholas and Charlotte’s mom Jill had the wonderful idea to have me paint a continuous background on these two paintings. 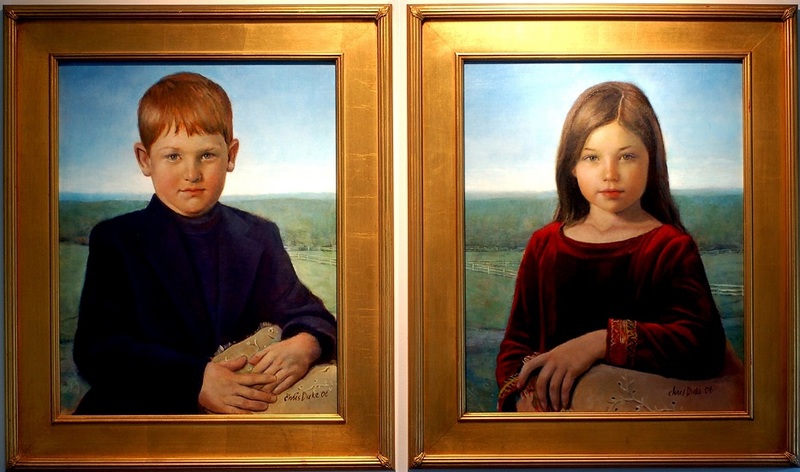 This way, even after the children eventually take their own portraits, the two pieces are linked. This was a lot of fun to do.